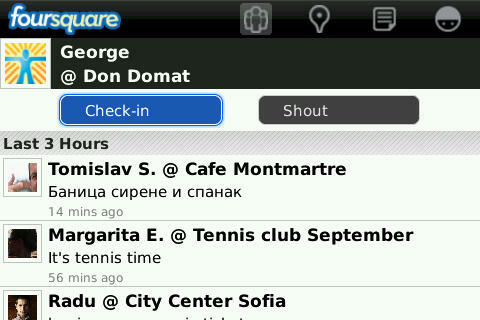 Foursquare app for BlackBerry. Now UPDATED with photo uploading support! Check-in to different venues, follow your friends and collect badged on the go! Foursquare helps you meet up with your friends and let you earn points and unlock badges for discovering new places, doing new things and meeting new people. 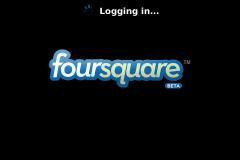 - Push Notification Now receive check-in notifications instantly via BlackBerry's push notification service! - Faster User and Venue Screens - Now foursquare loads user and venue data as it gets downloaded, allowing you to view a user profile instantly without having to wait for all the data at once. - Improved Battery Life With true push notifications enabled and a few additional tweaks, battery life continues to improve.